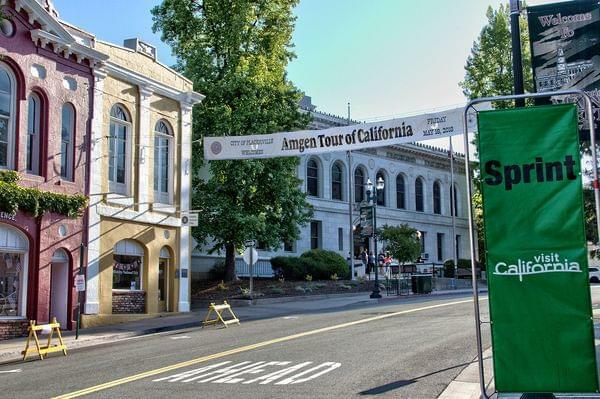 After starting the 2019 Amgen Tour of California in a familiar locale, Stage 2 begins in the new host city of Rancho Cordova, fifteen miles upstream along the American River. Rancho Cordova may be a new partner for the race, but the peloton’s journey to the slopes of South Lake Tahoe’s Heavenly Ski Resort is well-known and feared by local cyclists and the peloton. From the start, the route gradually prods uphill passing right through Main Street Placerville. Over the next 122-miles, the peloton will climb over 14,500 feet and three KOMs - even finishing uphill to the mountain’s ski lifts. The race’s Queen Stage comes later in the week, so the overall contenders can go for the General Classification lead here but they would be well-advised to save their legs. Check out footage from last year's race through Main Street here.